Rites Limited is a Public Sector Enterprise and is the only company with diverse services and geographical reach acting as a leading player in the transport consultancy as well as in engineering sector in India. The Company has issued 25,200,000 Equity shares of Rs.10 each. Let’s have a detailed review of the company and analytics of the Rites Limited IPO release date, IPO offer price, subscription, Rites Limited IPO allotment, grey market price and other details like the company’s background, its financial positions, its promoters and other related things. Rites Limited has significant presence as a transport infrastructure consultancy organization in the railway sector. However, Rites Limited also provide consultancy services across other infrastructure and energy market sectors including urban transport, roads and highways, ports, inland waterways, airports, institutional buildings, roadways, power procurement and renewable energy. Rites Limited has served various public sector undertakings, government agencies and instrumentalities and large private sector corporations, both in India and abroad, over the years. At the upper end of the price band of Rs 185 a scrip, the IPO would fetch around Rs 460.20 crore to the exchequer. From fiscal 2016 to 2017, company’s revenue from operations and profit after tax has increased at a growth rate of 15.62% and 7.73%, respectively. Revenue from operations has increased at a CAGR of 15.62% from Rs10,126.88 million in the Financial Year 2015 to Rs13,538.04 million in the Financial Year 2017. During the financial year 2016-17 the Other Income of company increased to Rs. 2070.99 million as against Rs. 1488.32 million for the financial year 2015-16. Company’s Profit after tax has increased at a CAGR of 7.73% from Rs 3,122.88 million in Financial Year 2015 to Rs3,625.17 million in the Financial Year 2017. The Promoter of the company is THE PRESIDENT OF INDIA, ACTING THROUGH THE MINISTRY OF RAILWAYS, GOI. The lead manager to the issue is Elara Capital (India) Private Limited, IDBI Capital Markets & Securities Limited, IDFC Bank Limited and SBI Capital Markets Limited and the Registrar to this issue is Link Intime India Private Limited. The opening and the closing date of IPO is June 20, 2018 and June 22 ,2018 respectively. The Basis of Allotment is 14:1. The IPO issue price is Rs 180 – Rs 185 per Equity Share, so the Premium Price is Rs 170 – Rs 175 per Equity Share. 24,000,000 Equity Shares of Rs.10/- each, aggregating up to Rs 466.20 Crores. The Minimum Order Quantity or Market Lot is 80 Shares. Incorporated in 1974, RITES Ltd. is a Government of India Enterprise, under the aegis of Indian Railways. RITES Ltd. is an organization in the fields of transport, infrastructure, and related technologies. It provides a wide range of services under single roof. In overseas projects, RITES actively pursues and develops cooperative links with local consultants/firms, as means of maximum utilization of local resources and as an effective instrument of sharing its expertise. In India, the clients include various central and state government ministries, departments, instrumentalities as well as local government bodies and public sector undertakings. Comprehensive range of consultancy services and a diversified sector portfolio in the transport infrastructure space. Large order book with strong and diversified clientele base across sectors. Technical expertise and business divisions with specialized domain knowledge. Experienced management personnel and technically qualified team. Strong and consistent financial performance supported by robust internal control and risk management system. Preferred consultancy organization of the Government of India including the Indian Railways. Leverage experience and continue to build on core competencies in transport infrastructure sector. From the above statements, one could find that the Rites Limited may perform well. The Promoter of this company is the President of India acting through MOR. Directors have no interest in the promotion or formation of Company. However, Mr. A. P. Dwivedi, one of Government Nominee Directors, holds 1,000 Equity Shares, constituting 0.0005% of the Equity Share capital, in his capacity as nominee of Promoter, the President of India. Directors has not shown any interest in acquiring the intellectual rights of the company. Equity Shares Offered 25,200,000 Equity Shares of at Issue Price of Rs 180 – Rs 185 per equity share aggregating up to Rs 466.20 Crores. 1. To carry out the disinvestment of 25,200,000 Equity Shares held by the Selling Shareholder in the Company, equivalent to 12% of the issued, subscribed and paid up Equity Share capital of the Company as part of the Net Offer, and such Equity Shares that may be reserved for Employee Reservation Portion, if any, subject to necessary approvals. Preferred consultancy organization agency of the Government of India including the Indian Railways. 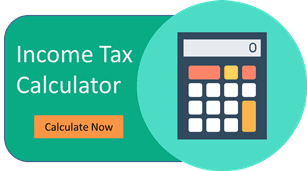 Statutory Auditor – M/s Agiwal & Associates. The Rites Limited IPO Grey Market Premium as on 23rd June is Rs 45 – Rs 50; Kostak Rate is Rs 400 and Subject to sauda at Rs 3000.